Coder's Crux is a fastly-made (sub-2 hours) font designed for coding. It's pixellated and monospaced, and works best at smaller point sizes. When coding I tend to prefer the text be smaller so more fits on the screen, which is why I went with that for this. 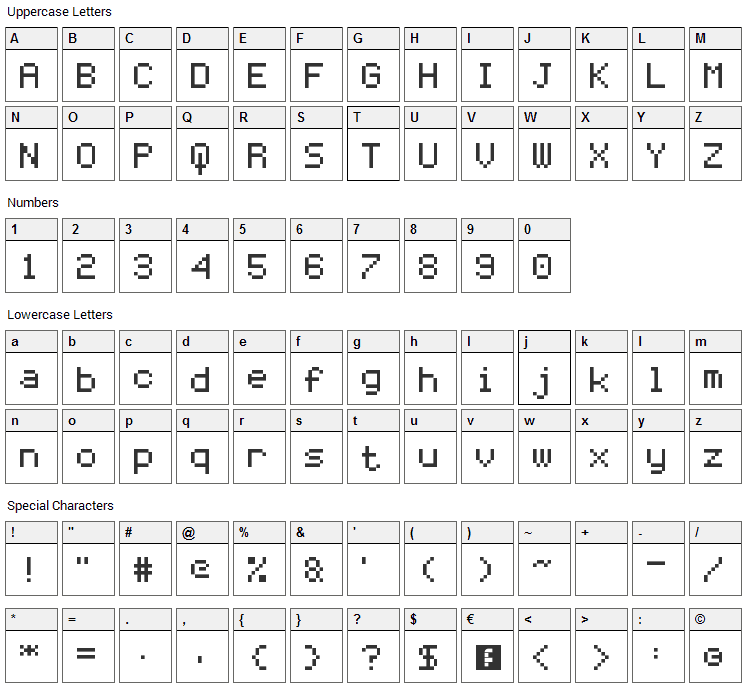 Coders Crux font contains 210 defined characters and 120 unique glyphs. 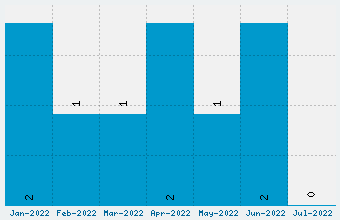 The font contains characters from the following unicode character ranges: Basic Latin (93), Latin-1 Supplement (95), Latin Extended-A (5), Latin Extended Additional (1), General Punctuation (13), Currency Symbols (1), Letterlike Symbols (1). 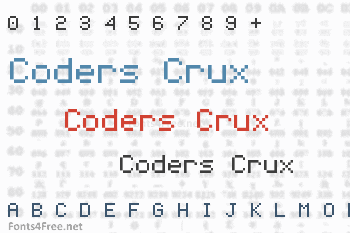 Coders Crux is a bitmap, pixel font designed by NALGames. The font is licensed as Free. The font is free for both personel and commercial usages. In doubt please refer to the readme file in the font package or contact the designer directly from nalgames.com.